February ECN Meeting "Challenges of Operational Scaling"
February Section Meeting "MobileIgniter: Internet of Things"
Talk: Kevin will discus his background and the services provided by the Small Business Development Center. He will relate what the SBDC sees from early stage and second stage companies, particularly those with outside investors. Companies should recognize the five engines of growth. Kevin will lead an interactive exercise to score participants on the five engines. Companies also need to connect to their markets and develop Mission Vision Values. Kevin will be available to answer any questions the entrepreneur might have. Bio: Kevin Kaufman brings a depth of experience working with small and medium sized businesses to his position as Business Consultant at the Small Business Development Center at UW-Madison. From strategic planning to financial projections to buy/sell valuation to operational excellence, Kevin’s background as a commercial banker, national sales manager and eight years of consulting experience will help your company define and achieve its goals. Kevin holds a Bachelor’s degree in Finance from UW-Whitewater and an MBA from UW-La Crosse. Talk: Dominic DiMarco, co-founder of Mobile Igniter, a Madison-based tech startup specializing in early stage research and development of devices for “the connected home of the future" will discuss this new field. Bio: Dominic DiMarco has been taking things apart to see how they work his whole life, which is how he found himself cruising IRC channels to learn how to write code for the iPhone well before Apple released an SDK. In 2011 he co-founded MobileIgniter -- an Internet of Things guide to manufacturers, retailers, and service providers. When Dominic is not running an IoT consultancy, he often takes his mom on exotic vacations -- mainly to pay her back for things taken apart. January Section Meeting :"CoFe-based cylindrical nanowires" (Review by Charles Gervasi and Dennis Bahr) Dr. Manuel Vazquez talked to our section while visiting from Spain. He showed us how methods to make extremely thin wires of ferromagnetic material allow researchers to explore new magnetic properties and applications for magnetism. The wires have a diameter of micrometers and are made by allowing a thin stream of the material to flow through a stream of water. The wire is then coated with Pyrex. The wire is so thin that 2 grams of metal can be made into several kilometers of wire. Applications include memory, since the wires exhibit a nearly perfect hysteresis loop. One interesting anomaly that he discussed was the slow rotation of a micro-wire placed in a solenoid mounted in a vertical position. When the solenoid was energized with an AC current at a few kilohertz, the wire would rotate at a couple of rotations a second. He told us that so far no one could explain the phenomena. January Life Member Affinity Group Meeting: “Denali: Flightseeing Meets History” – Presentation by Chuck Kime. Chuck’s presentation was based on a video and photos taken from a summit flightseeing tour of Denali (formerly Mt. McKinley) in June 2008, accompanied by data, information, maps and ground photos taken by climbers. The presentation began with a description of the road trip that included the flightseeing tour and the flightseeing base at Talkeetna, Alaska. Denali’s place among the world’s mountains was then described. Most outstanding is its base-to-peak height ranking it as the “tallest” mountain in the world having its base above sea level. Four climbing routes on Denali were presented including multiple photos of the West Buttress route, the most popular of the climbing routes. 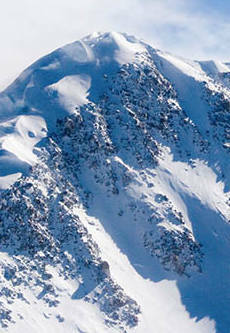 The flightseeing video was presented and support of climbing and flightseeing by glacier pilots was briefly mentioned. The presentation concluded with lower-elevation photos along Ruth Glacier from its Great Gorge area to its end. Chuck’s son-in-law, Peter Callies, accompanied him on the flight and deserves considerable credit for capture of all of the great video used in the presentation. January Informal ECN Meeting: "LENR Basics Webinar" -- The organization Energy 2.0 produced a 1.5 hour Webinar on Low Energy Nuclear Reactions with Mats Lewan. 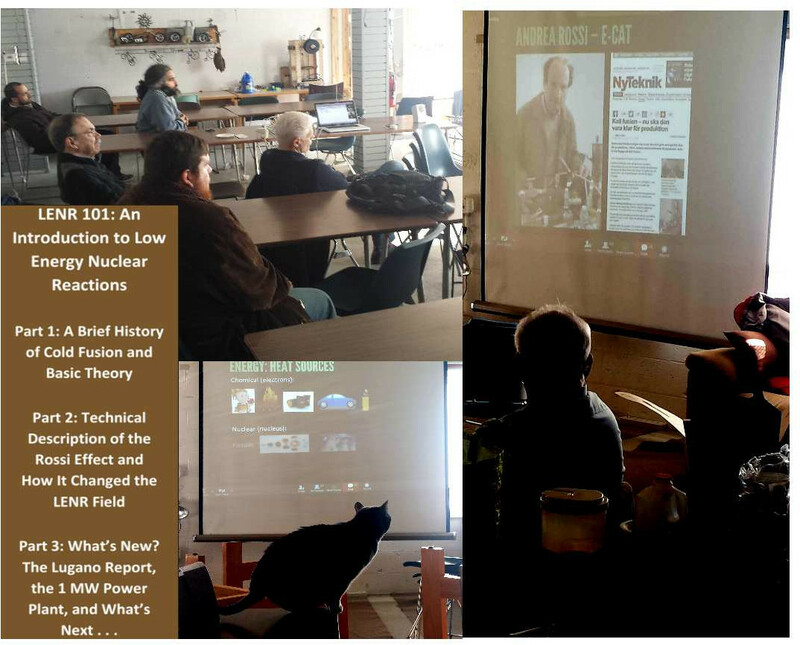 Eight IEEE members (and on interested cat) gathered at Sector67 to view the Webinar and discuss their thoughts. Mats is a Swedish Journalist from the technical publication, Ny Teknik. He discussed the early experiments of Fleischman and Pons, explaining how they had really observed excess energy, though the experiment could not be duplicated, a fact that has been shown to require 16 meticulous steps to observe. He then went on to discuss Andrea Rossi's follow on work and presented a good summary of what is current technology. Mats was able to observe first hand the early Rossi demonstrtions and was allowed to make his own measurements confirming excess energy. The most interesting part of the Webinar for me was his answers to questions. The one question Mats posed that I can relate to is "Why am I the only main-stream journalist reporting on this paradigm shifting technology?". If you missed it, the entire webinar was recorded to YouTube HERE. Sector67 LENR 101 Webinar. The cat in the middle is appropriately named "Tesla"
February ECN Meeting: Kevin Kaufman from the University of Wisconsin Small Business Development Center will talk at Sector67 on the difficulty of scaling a business up from an early stage start-up. 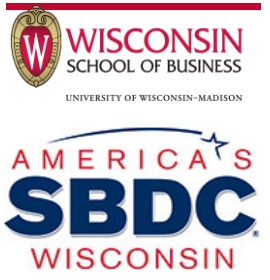 The SBDC is an organization that helps businesses develop the plans and skills needed to start and grow a business. Kevin will also lead in interactive assessment process to identify where a business is in relation to the five needed engines of growth. As usual, it is a "brown bag" event, so bring your lunch or snack and also be prepared to give a short "elevator speech" introducing your business. February Section Meeting: Dominic DiMarco, one of the co-founders of MobileIgniter will speak on the "Internet of Things" (IoT) and MobileIgniter's approach to helping people develop devices and applications for this new and growing area. Dominic and his co-founder, Timothy Nott were recently highlighted in an Isthmus article that you can read here. 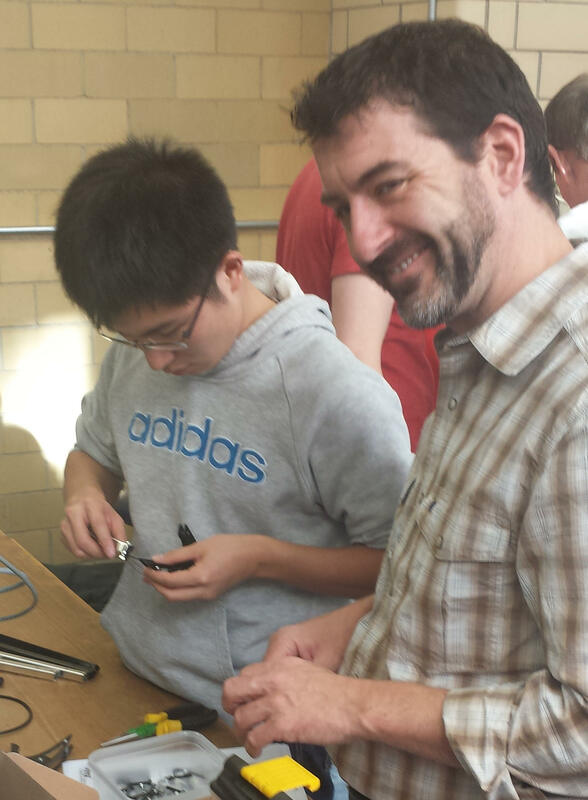 On a related note, Dominic attended the IEEE-Madison sponsored "Hands-On Drones for Electrical Engineers" at UW-Madison on December, 2014. March Section Meeting: Dr. Greg Carman will be giving a talk titled "Beethoven, Shannon and the Compact Disk" on the history of development of the Compact Disk. 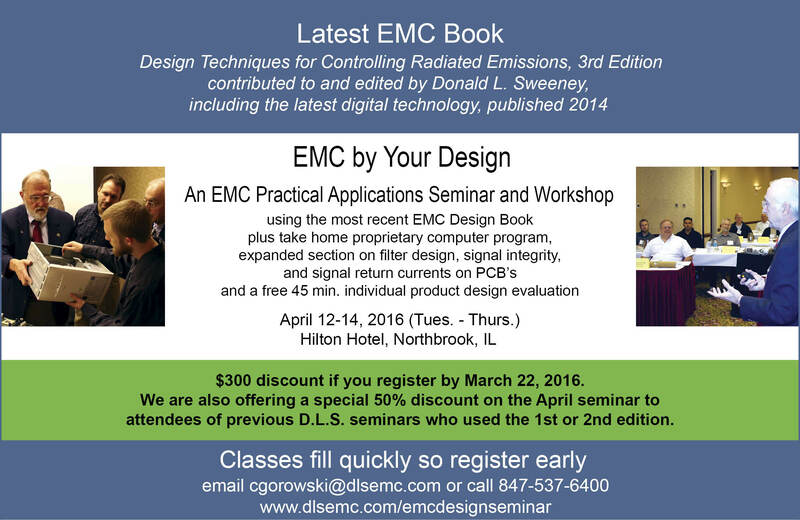 Dr. Carmen is a Distinguished Lecturer for the IEEE Magnetics Society. March Life Member Affinity Group Meeting: A tour of the new UW-Madison Charter Street Power Plant is planned. Dates and times are still being worked on, so check the Vtools Meetings site for details, or wait until the next Newsletter. Electrical Engineer experienced with power electronics at Dairyland Industries.